His world is filled with gigantic mazes and nasty bullies. He eats more, runs more, and plays harder than Pac-Man and Ms. Pac-Man combined! Junior is impish, incorrigible, and independent. Come race with him in his amazing playground. 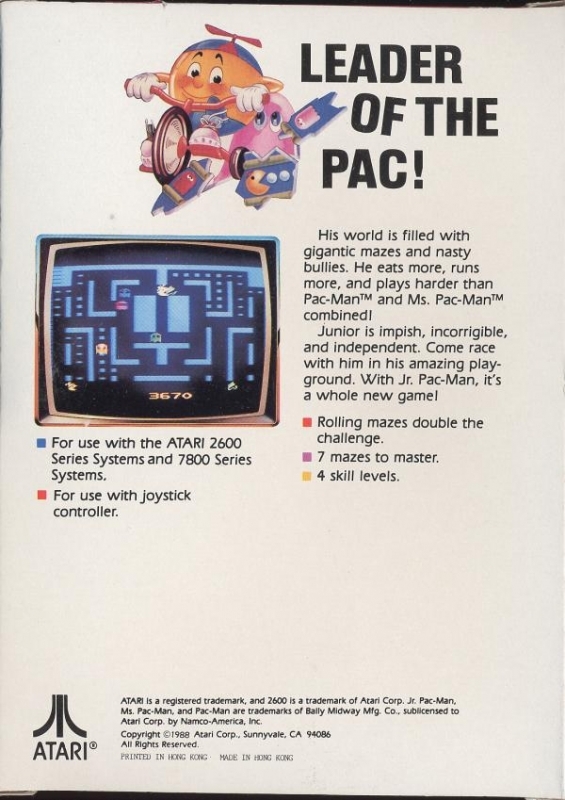 With Jr. Pac-Man, it's a whole new game!